While searching the aisle of Whole Foods, I stumbled upon Cordobes cheese, which happened to be on sale. 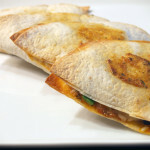 I had no preconceived ideas as to what cheese I wanted to use so I thought, why not a cheese from Spain? I quickly learned that this cheese was exclusive to Whole Foods and is along the lines of Manchego. During one of my few cheese tastings, I was not a fan of a raw milk version of Manchego, so I thought I would give a similar cheese a second look. Who knew, maybe my mind would be changed? Since the cheese is from Merino Sheep, the fat content is higher, but the cheesemonger at Whole Foods told me that it contains a lot of protein. He also said that it is one of his favorite cheeses, and I value his opinion, so I took his suggestion. This is a semi-firm cheese that really has a unique taste, just like Manchego. When I originally tasted the Cordobes cheese, I was unsure if I liked it. However, now as I write this, I have tasted the cheese twice and the taste has really grown on me. Unfortunately, I cannot really describe the flavor, but if you have had Manchego, you have tasted a very similar cheese. If you have a Whole Foods in your area, I would recommend at least trying this cheese. 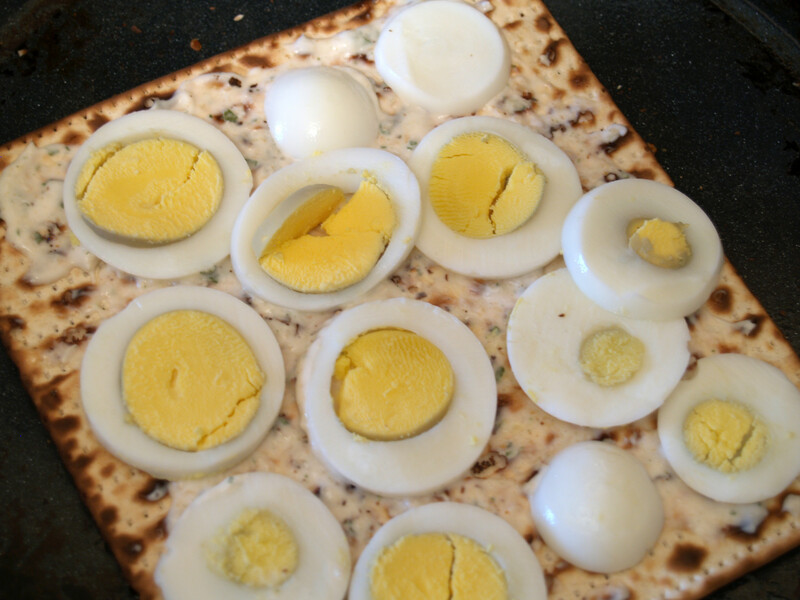 Nowhere in the Passover Haggadah, that I know of, are hard boiled eggs mentioned, but we eat them every year during the Passover Seder (with salt water). And I love them. 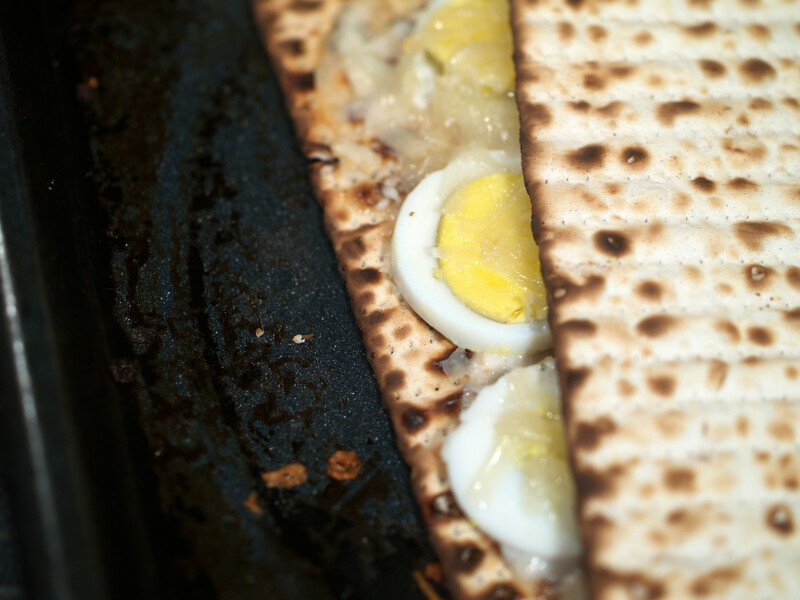 I had originally thought of using scrambled eggs (think Fried Matzoh/Matzoh Brei), but the sous chef made a suggestion to use hard boiled eggs for the Passover grilled cheese. It was a great one. 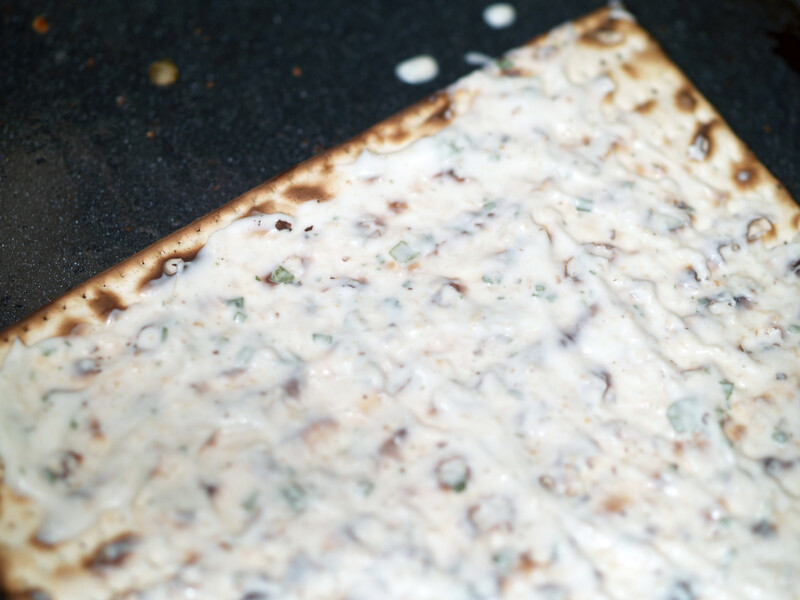 Before describing the horseradish mayonnaise used in the grilled cheese, I must reminisce about my time at Hillel during college and my interaction with fresh horseradish. Way back when I was a freshman at the University of Cincinnati, I ventured to Hillel at the suggestion of my parents but returned because I enjoyed it. 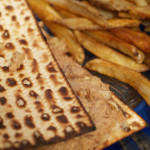 During Passover, I spent every lunch and dinner there scarfing down all of the yummy “home cooked meals.” At Hillel’s Seder, the Rabbi made sure that he had many pieces of fresh horseradish available. He was able to eat pieces without any problems. Me on the other hand, I tried it once or twice, spitting it out at least once. It was hot and wow, I couldn’t really take the heat. Normally at Seders, less hot/fresh horseradish is used, but not at UC’s Hillel. Ever since college, I have try to avoid horseradish at all costs. That was until this grilled cheese. Hard boiled eggs and cheese would have been extremely boring so I decided to use another ingredient, a spread. The sous chef suggested we use horseradish and mix it with mayonnaise. This sound like something that would go well with hard boiled eggs. Also added to the mix were some dried chives. 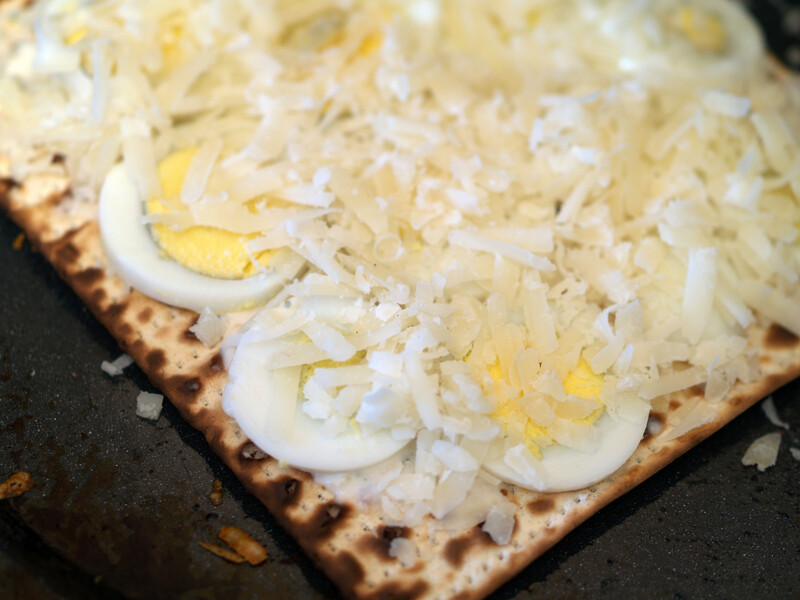 The only choice I did not have was the “bread.” With Passover banning just about every bread product imaginable, matzoh was the only choice. 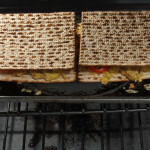 Sure I could have gone with flavored or whole wheat matzoh, but really? 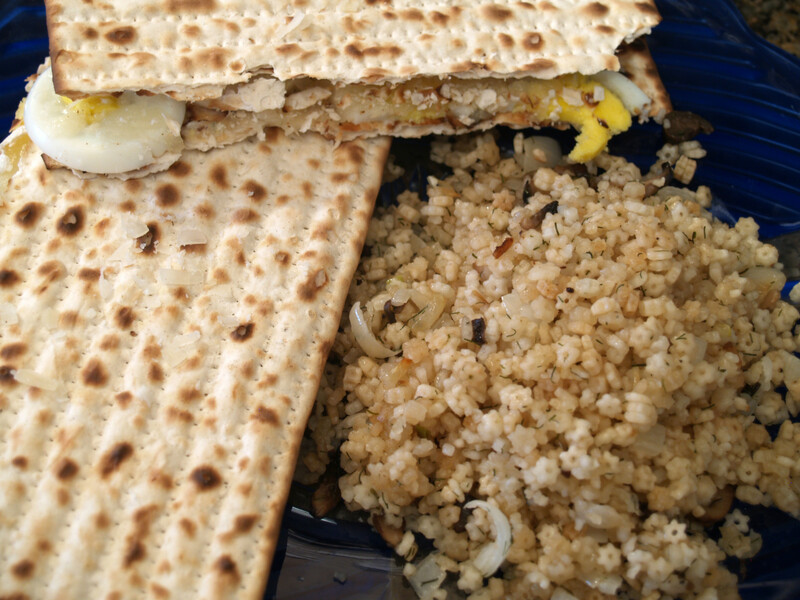 I wanted to go traditional so I stuck with the matzoh I had been eating for the past 6 days. 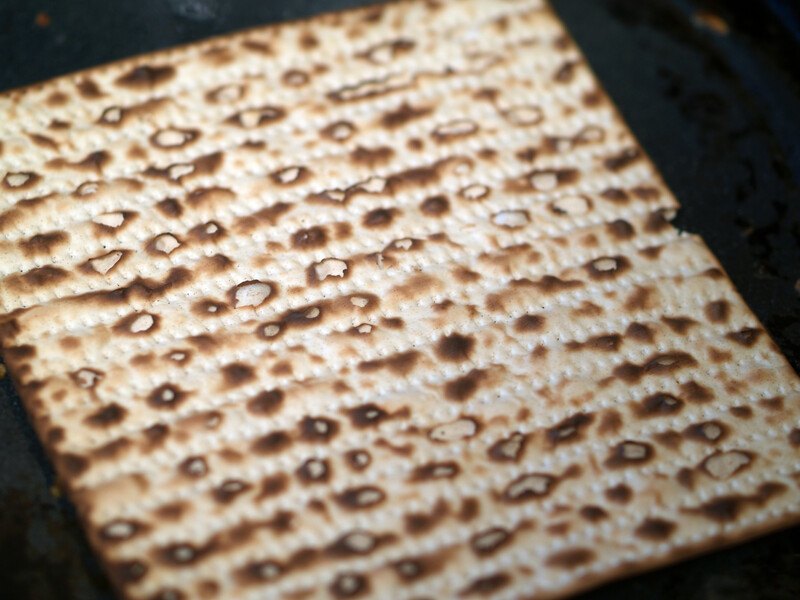 This crunchy cracker is despised by Jews and loved by Goyim (non-Jews) simply because they don’t have to eat it for 8 days straight each and every year during Passover. Considering the restrictions placed on this Passover grilled cheese, I would say I succeeded in making a good grilled cheese sandwich. I might even say that it was better than last year’s sandwich. But then again, I do like hard boiled eggs better than charost. 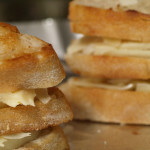 My father, who loves horseradish and mayonnaise, loved this grilled cheese, especially the sauce. My feelings aren’t as strong but by no means did I dislike this Passover grilled cheese. It was good. 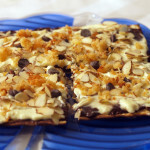 I would recommend trying it if only you are forced to eat matzoh for 8 days straight. Otherwise, please eat a grilled cheese sandwich made from bread. 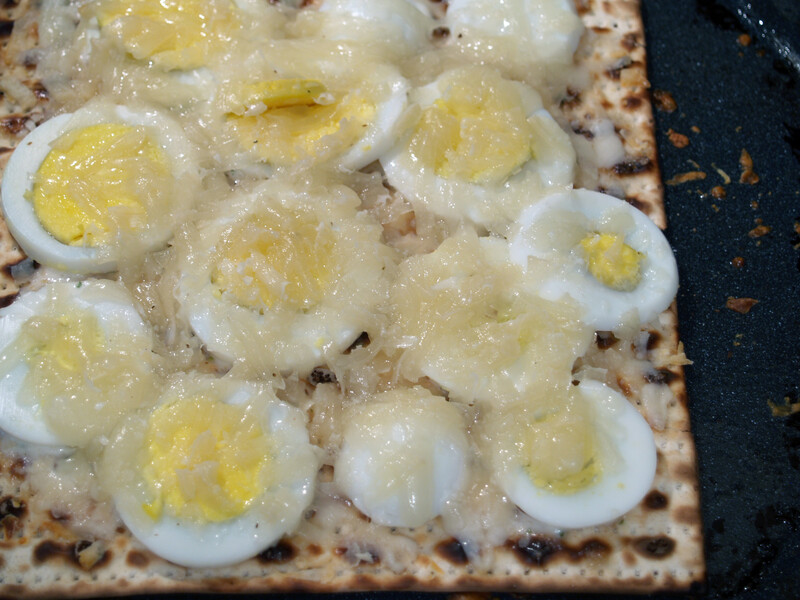 Posted in Grilled Cheese and tagged A Minus, baked, cordobes, horseradish, matzoh, mayonnaise, passover.